Angkor Wat, the destination for most travelers visiting Cambodia. 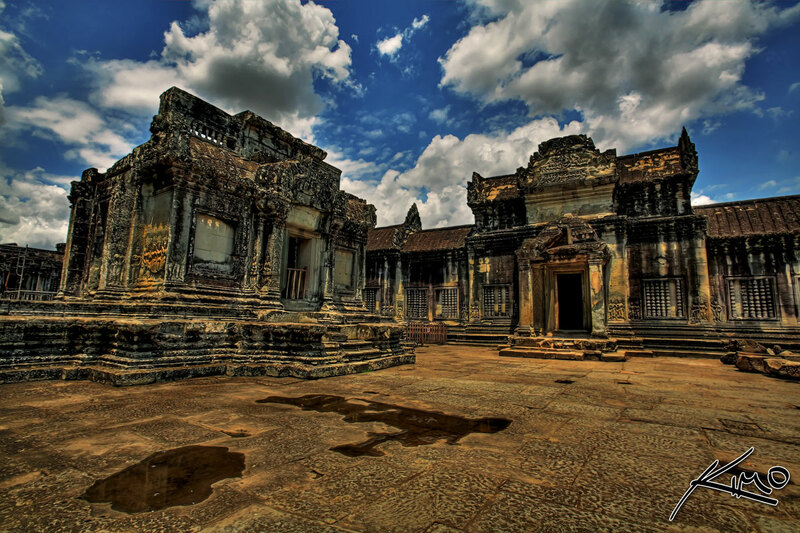 What most people don’t know is that there are two different temples in Angkor Wat. The small temple and the big temple, or better known by the locals as the Little Wat and the Big Wat. This HDR photo was taken from the Small Wat. Most photos you see from Angkor Wat are from the Small Wat, usually a photo shot from the front of the temple. I wasn’t able to get a good shot of the front because of reconstruction, but I did get some great shots from the inside of the temple.